Naw Kyi Pya, one of the orphans from Hpu Saw Bu Orphanage, graduated from high school in June 2016, and prepares for the enrollment of University. Saw Michael and Saw Aung Phyo Min are in senior high school this year, and they try very hard studying. They also give their helping little hands by doing cleaning, painting, and other chores as needed at the shelter. But we are very sorry for Saw Lwe Htoo and Naw Blue May Paw, who left the shelter without finishing High School. Hpu Saw BU orphanage is organized by KBC and sponsored by FOB. It is located in Myaungmya, Delta. This year the center organized livestock breeding, raising some pigs and 500 chickens. They also plan to breed eels and now have started digging pond to put eel. Livestock breeding is not only earning some money to support some of their expense but also organizing orphans to participate work together and learn about teamwork. We will move out! New Eden orphanage center plans to move from a rural area to an Urban area near Hinthada Association compound coming 2017. They are currently located in a small village near Kaw Thar Baptist Church, Mandalaygone. Lacking of transportation to and from school is making them move out to a better place for their future education. 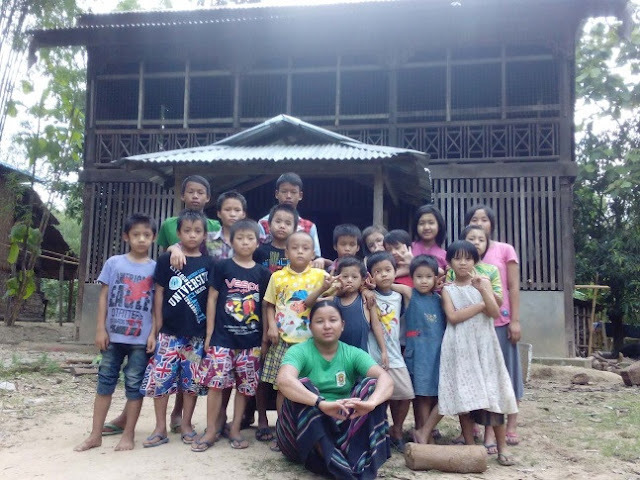 Naw Htay Lar Saung, Care and Counselling director, said, "Children are organized under the leadership of their caregivers. 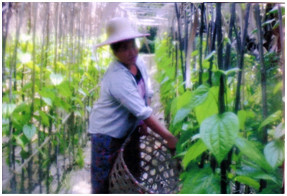 They are doing well and also help in growing vegetables to save their kitchen expenses. Even though we have only 2 staff to take care of 18 children, we are blessed by members from Kaw Thar Baptist church who always help us by taking care of children." We will miss you Kaw Thar Baptist Church! FOB got a letter from Saw Lah Eh Shee, from Ko Tha Byu Baptist seminary, currently studying music at Silliman University in Philippines. He is sponsored by FOB. Saw expressed his heartfelt thanks to FOB for giving him a great opportunity to expand his knowledge abroad. He said, “Burma is in the dark age of Music and most people do not understand the value of Music.” He promised that he will try his best upgrading his knowledge and skills. After graduation he is going back to his country to distribute his musical knowledge to students from Ko Tha Byu, churches and christian community across the country. Let’s brighten our our christian life through MUSIC! 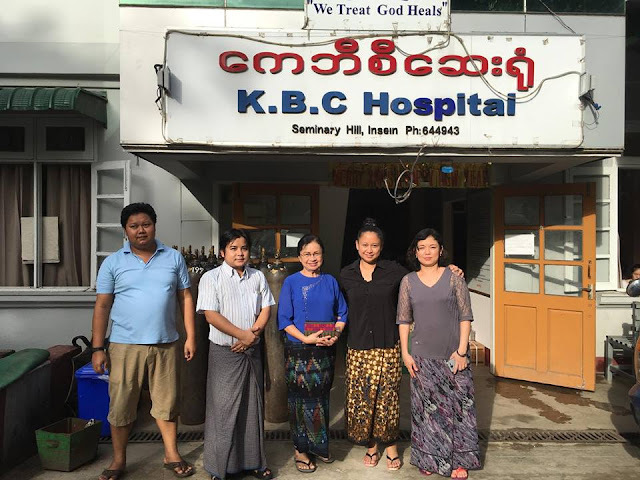 KBC Hospital and Matthew 25 Love Hospital are famous hospitals under the umbrella of the Karen Baptist Convention. Matthew 25 Love Hospital, which is located in Pathein township, run by Pathein Myaungmya Sgaw Kayin Baptist Association. It serves people who need health care not only from Pathein township area but also people from Irrawaddy villages. The hospital and association would like to thank our generous donors for $1,500.00. It was a great support for the hospital. 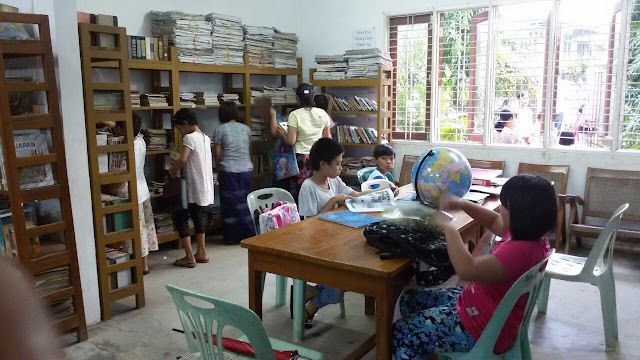 Dr. Chit Maung Library was established in July, 1997, supported by FOB. By the grace of God we will celebrate our 20th Anniversary next year 2017. It is located in Insein, a suburban area of Yangon. As a growing organization we can expand our programs not only for library services, but also other services such as English learning center for children, fitness center and internet service center. We provide free internet service but collect reasonable fees for English classes and fitness. The income from those services support our organization to be self sustainable. And the whole community gains from it. 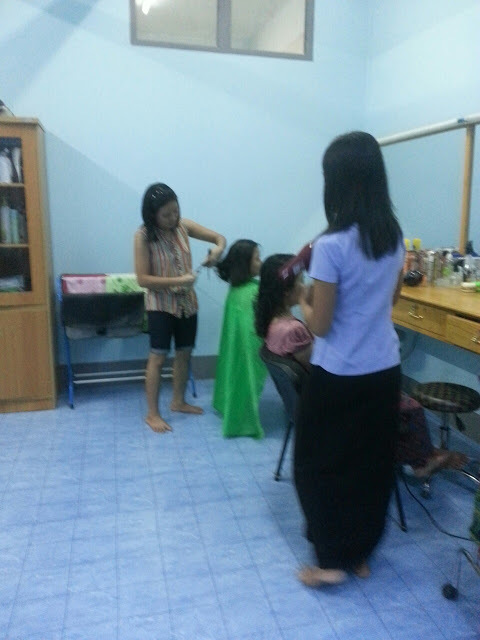 The English learning center is the most successful program of Dr. Chit Maung Library. We offer regular English classes and preparation classes for the international English test which is held by Cambridge University. Here is a report from one of the groups. 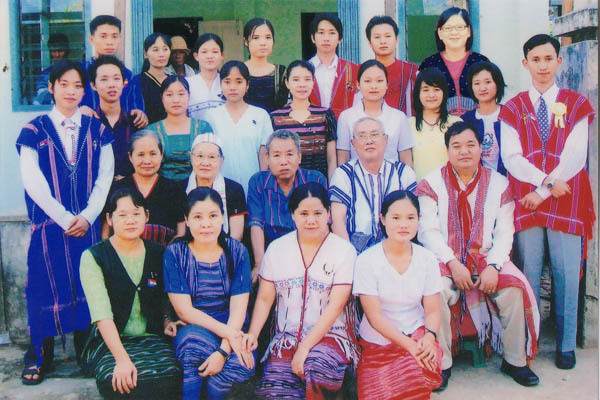 Ma Oo Bin Zone Women Micro Finance Group is composed of families headed by women. They had received a grant in 2014. This group has a leader, secretary and treasurer. They have organized the group as a church women’s group and gave initial loan to the members beginning from $50 to $70 for individual loans. The interest charge of loan is 5% per month while other money lenders is 10%-15% in the villages. Back in January, 2016, Friends of Burma was approached by a dynamic, mission oriented, family in Tacoma, Washington. This family of mother, father, son, and daughter, were actively raising funds to allow those graduates of the Childcare Centers who had successfully matriculated (passed the final secondary school testing) to continue attending college or trade schools. His regular donor is Janelle [last name withheld]. He grew up in Pu Saw Bu child care center. I talked to him when I was in Yangon. 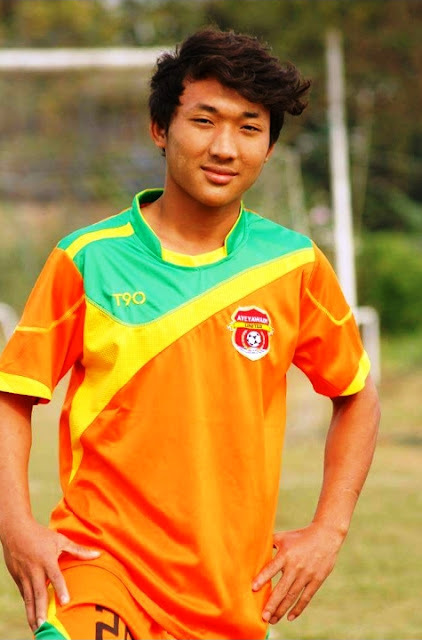 He is now a professional soccer player of the second team of the Irrawaddy football club. He is 18 years old and a striker. I introduced myself to him as one of the members of Friends of Burma (FOB). He knows FOB well. I told him that I wanted to let his donor know something about him and wanted his pictures. He sent his photos to me via his cellphone immediately. I don't know how much he got paid as a professional soccer player for a month, but I know whenever he plays a match, he gets more than one lakh (about $100). He is in touch with Pu Saw Bu child care center. To become a soccer star is one of the popular dreams among the youngsters in Myanmar. I told him to try hard to become a first class team player. He is still young and has a great chance to become a star. This is one of the fruits of FOB's mission. The following is a letter from Naw Htoo Nay Paw. 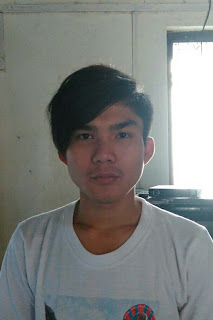 My name is Naw Htoo Nay Paw and now I am 23 years old. My native village is Tha Bye Kyine Village, Ayeyarweddy Division which was affected by Cyclone Nargis in 2008, May. 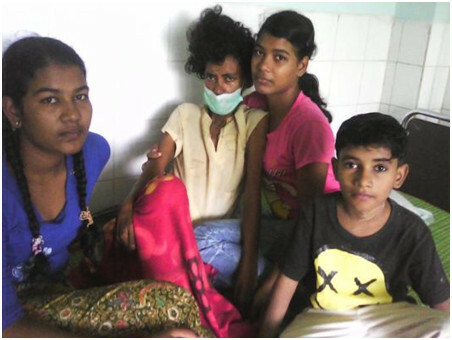 I have 3 siblings, and during Cyclone Nargis I lost my youngest brother. My parents were daily wagers and they could not afford me to attend grade four. My father died when I was 13 years old. 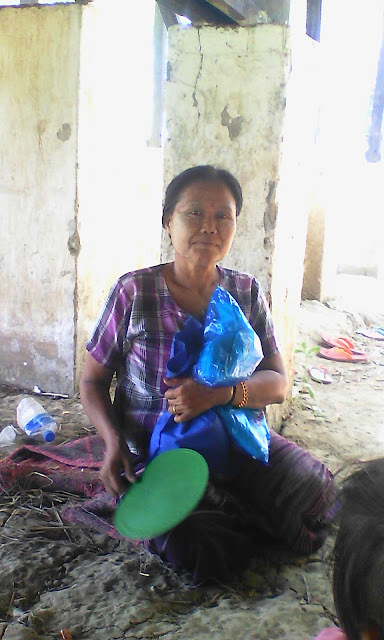 After Cyclone Nargis, my mother married a young man, and I had decided to leave my family and went to Zoe Center by the support of Thramu Daily Paw, assistant Secretary of Yangon Kayin Baptist Women association. In 2008 June, I became a supporting catering staff for the trainees at Zoe Center. 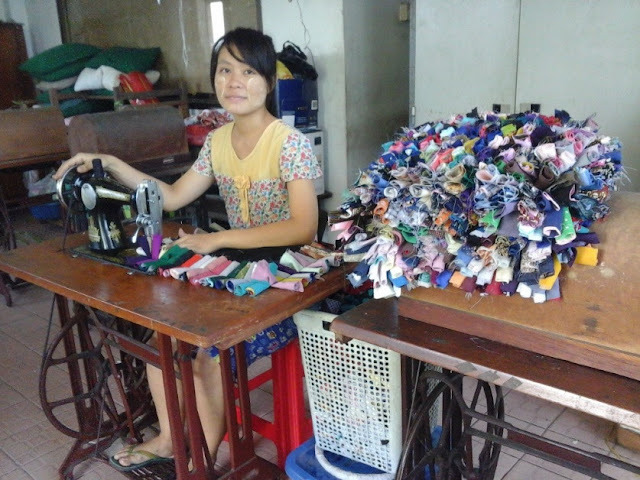 From 2008 to 2014, I have attended different kinds of training such as teenage girl training, women development training, basic sewing class, embroidery training, making fancy training, sewing hymn book cover, cloth purse and door mat training.